Over the past century there have been dramatic changes in the media’s representation of the ‘ideal’ male physique and body type. The physical dimensions of the male icons and role models have altered dramatically from the athletic physiques exhibited by the likes of Charles Atlas in the 1920’s, to the modern day physical specimens of Arnold Swarzenegger and Sylvester Stallone. As such, today’s youth have a new level of masculinity to strive for in order to achieve likeness of their role models. Body image disturbances have long been observed in female populations, where the obsessive quest for weight loss is commonplace. Over the past 10 years or so, researchers have become increasingly aware of similar levels of disturbances and dissatisfaction in young males, particularly those participating regularly in weightlifting and bodybuilding activities. This subtype of Body Dysmorphia, formally known as ‘Muscle Dysmorphia’ (MD) has been described as an unhealthy preoccupation and dissatisfaction with one’s body size and muscularity. Research suggests that body image disturbances in men primarily relate to two factors; a desire for increased muscularity and an obsession with reduced body fat. The bodybuilding population has described MD as ‘reverse anorexia nervosa’, and a strong link has been observed between this condition and disordered eating patterns. This relatively new psychological condition has also been described as a form of an ‘obsessive compulsive disorder’ (OCD) in which people suffering from it cannot and will not stop their excessive exercise and dietary regime, in spite of injuries, poor health or social consequences. MD has been observed as a condition that affects primarily men, although it can be present in women. It is a unique form of ‘body dysmorphic disorder’ where instead of being extremely dissatisfied with a single body part, the sufferer is dissatisfied with their whole body. Those suffering from MD, despite being incredibly muscular will have the belief that they are of very small muscularity. Such beliefs convince those suffering with MD that they are physically inadequate and as such often results in them avoiding situations and places where they might be seen wearing tight or minimal clothing in a desperate attempt to conceal their perceived lack of muscularity. Research also indicates that individuals who suffer from MD are more likely to use performance enhancing supplements or drugs to enhance their muscularity. Many men may be aware of their obsessive beliefs and that their obsessive and compulsive behaviours are futile. Even with this knowledge, they are usually unable to prevent themselves from engaging in these self-destructive patterns of behaviour. The degree to which body satisfaction is a component of general self-esteem is likely to be related to the importance the individual places on physical appearance. Those suffering from MD usually regard their physical appearance as a critical component of their identity and so dissatisfaction with their body is likely to impact on general levels of self-esteem. Those suffering with MD are likely to be incredibly sensitive about changes, or perceived changes to their weight and body dimensions in the same way that one would expect somebody suffering from ‘anorexia nervosa’ would be. 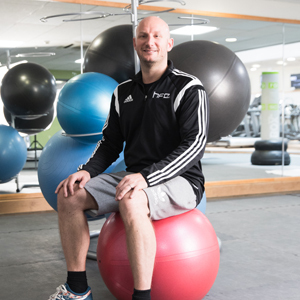 It is therefore important as a Fitness Instructor or Personal Trainer you are able to identify clients who are at risk of such conditions and able to encourage them to seek professional help. Anderson, R.E., Bartlett, S.J., Morgan, G.D. and Browell, K.D., (1995). Weight loss, psychological, and nutritional patterns in competitive male body builders. International Journal of Eating Disorders 18, pp.49-57. Choi, P.Y.L Pope, H.G. and Jr, Oliviardia, R. (2002). Muscle Dysmorphia; a new syndrome in weightlifters. British Journal of Sports Medicine; 34:375-376. Drewnowski, A., Kurth, C.L. and Krahn, D.D., (1995). Effects of body image on dieting, exercise, and anabolic steroid use in adolescent males. International journal of Eating Disorders 17, pp. 381-386. Oliviardia, R., Pope, H.G. and Hudson, J.I., (2000). Muscle Dysmorphia in male weightlifters: a case control study. American Journal of Psychiatry 157, pp. 1291-1296. Olivardia, R., Phillips , K.A. (1997). Muscle Dysmorphia: an unrecognized form of body Dysmorphic disorder. Psychosomatics. Vol 38: 548-557. Pope, H.G. Olivardia, R., Gruber, A. And Borowiecki, J., (1999) Evolving ideals of male body image as seen through action toys. International Journal of Eating Disorders 26, pp65-72. Pope, H.G., Phillips, K.A., & Oliviardia, R. (2000). The Adonis complex: The secret crisis of male body obsession. New York: Free Press.